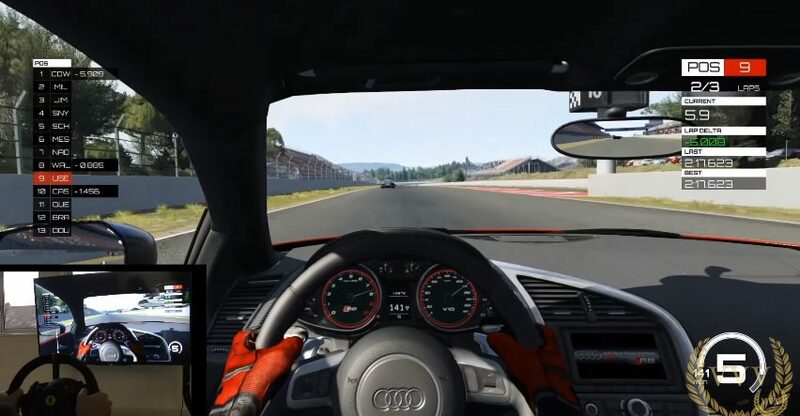 We decide to share a race with the Audi R8 at Barcelona which we completed a little while back when we got our exclusive hands on with the PlayStation 4 preview version of Assetto Corsa. We're actually racing on the older version of the Circuit de Barcelona Catalunya that has the high speed final turn rather than the ugly slow chicane which was thrown in which really spoils the flow in my opinion. Our early impressions are very good, we did notice the AI braking seemed a little off but as this is still work in progress we are confident that this will be fully fixed before its console release this April. Visually, Assetto Corsa is looking and feeling authentic and is running solidly at 60 frames per second, and we are very much looking forward to testing a newer build of the racing sim, gameplay below.